The Oklahoma/Arkansas Chapter, ACPA is a non-profit organization representing the concrete paving industry in Oklahoma and Arkansas. The Chapter is recognized by highway officials, engineers, contractors, and paving experts as the state voice for the concrete paving industry. Engineer: Craig & Keithline, Inc.
OK/AR Chapter, ACPA is looking for outstanding examples of concrete pavement projects within the state of Oklahoma for recognition in our annual awards program. Qualified nominees will have been completed by an ACPA member contractor in Oklahoma during the 2017 construction season. These awards are a great way to recognize all the hard work engineers, inspectors, and contractors put into their projects. Nominations can be submitted through an online submittal process. 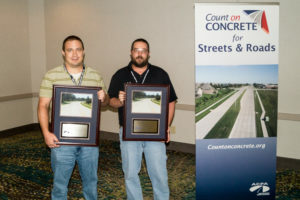 You can access the online submittal system at: http://www.acpa.org/acpa-excellence-in-concrete-paving-awards/. From this page, you can create a login by clicking the “Register a New User” link. If you have previously created a login to submit a project to the national program, you can use that same login to access the system. 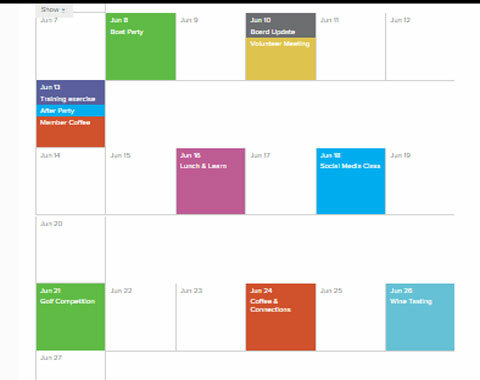 After logging-in, choose “Begin an Application for a New Project” and make certain to select “Oklahoma/Arkansas Chapter – ACPA” under the awards program section. Nominations must be received no later than December 8th, 2017 to be considered for an award. 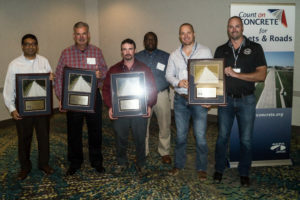 Awards for the winning projects will be presented at an awards luncheon held during the OK/AR ACPA Annual Concrete Pavement Conference March 27, 2018 at the Embassy Suites Hotel and Conference Center in Oklahoma City.